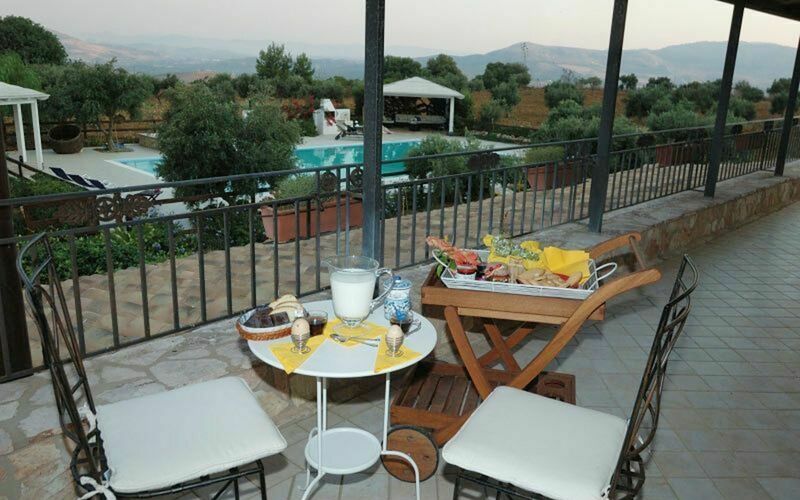 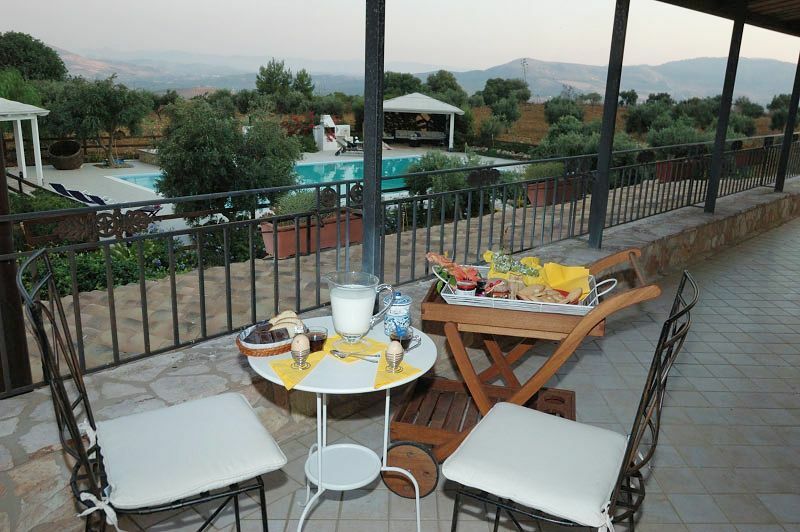 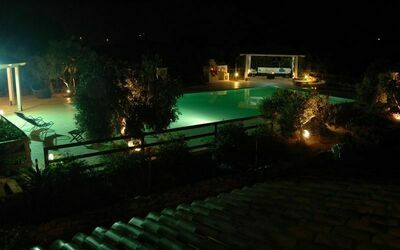 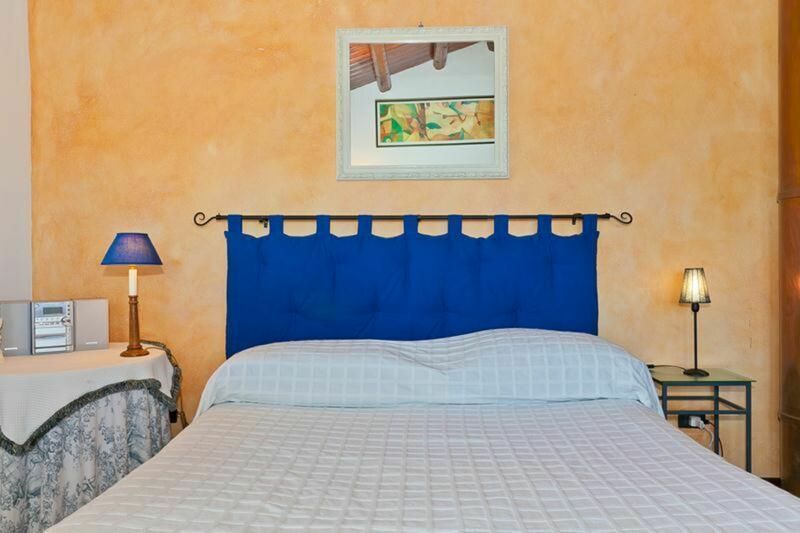 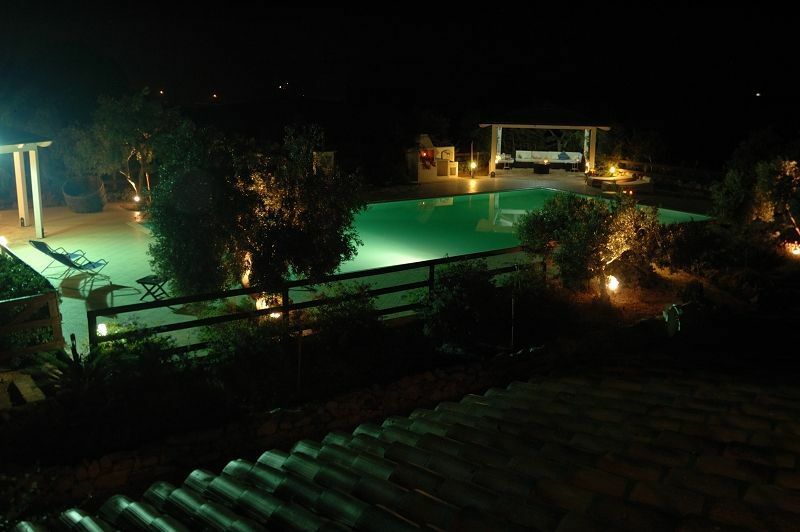 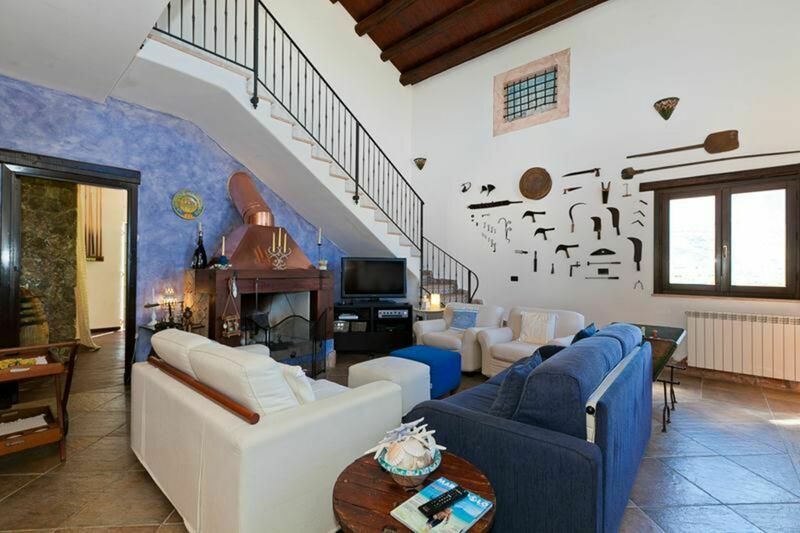 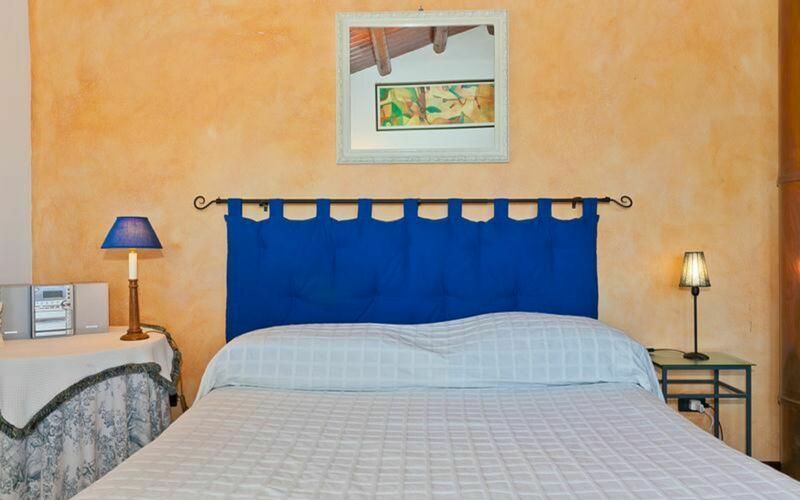 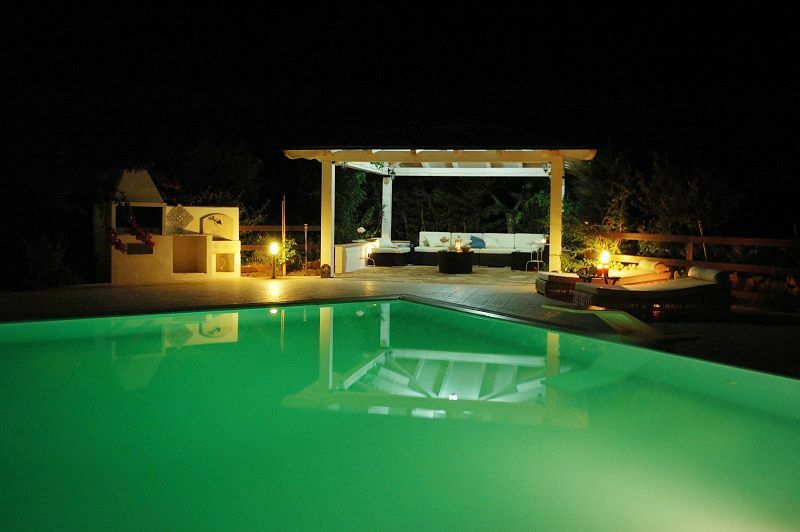 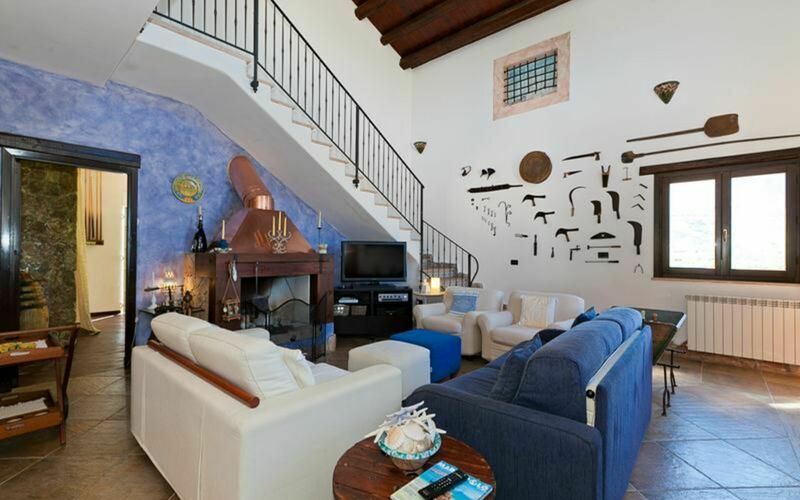 Tenuta Castellammare is an elegant holiday villa located in the Sicilian countryside of Castellammare del Golfo. 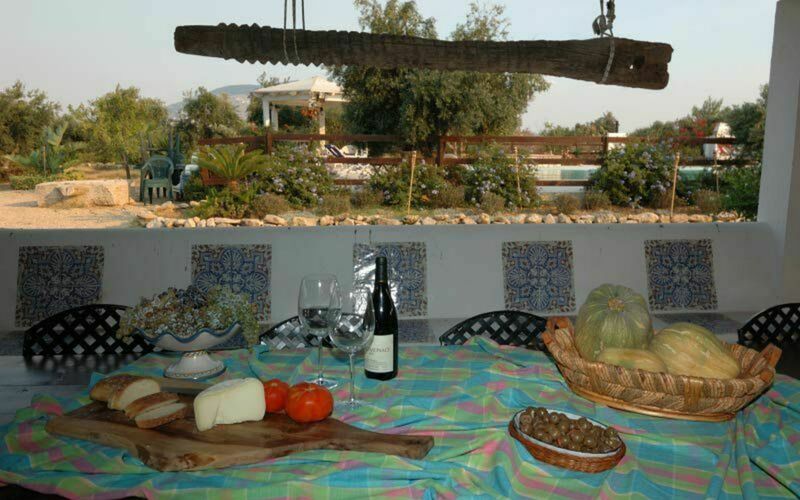 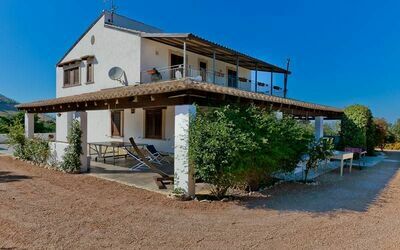 The estate where the villa is located, is mainly cultivated with olive trees making the surroundings particularly green. 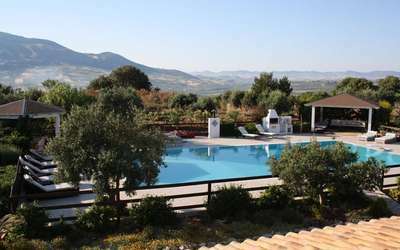 The private pool is arranged in front of the villa. Poolside gazebos, allow guests to fully experience the beauty of the living environment. 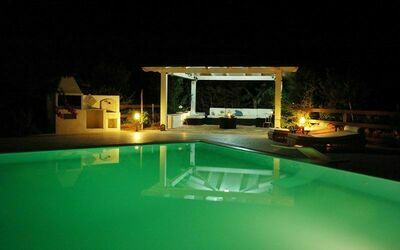 In fact, the comfortable sofas that complete outdoor furniture, allows you to enjoy moments of relaxation in complete privacy. Also a part of the estate is planted with vegetables and organic products which can be collected, prepared and consumed by guests. 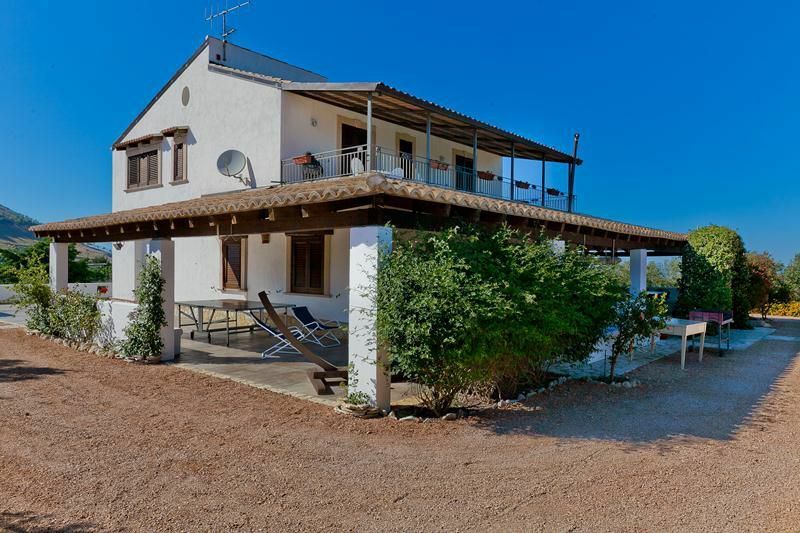 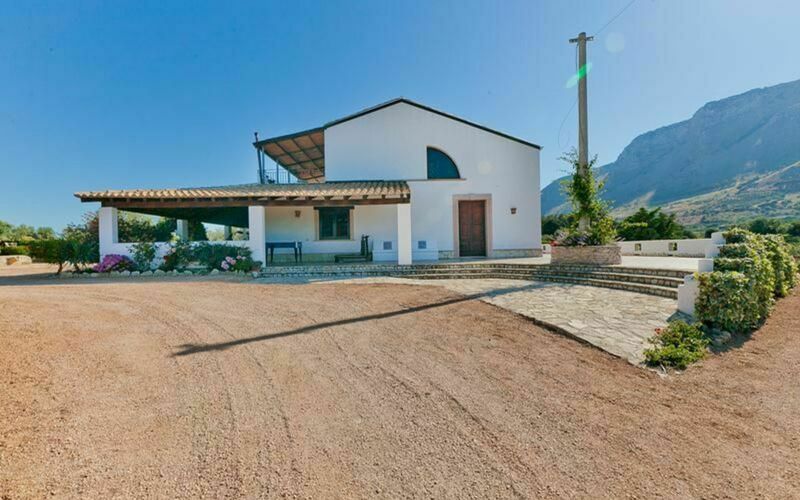 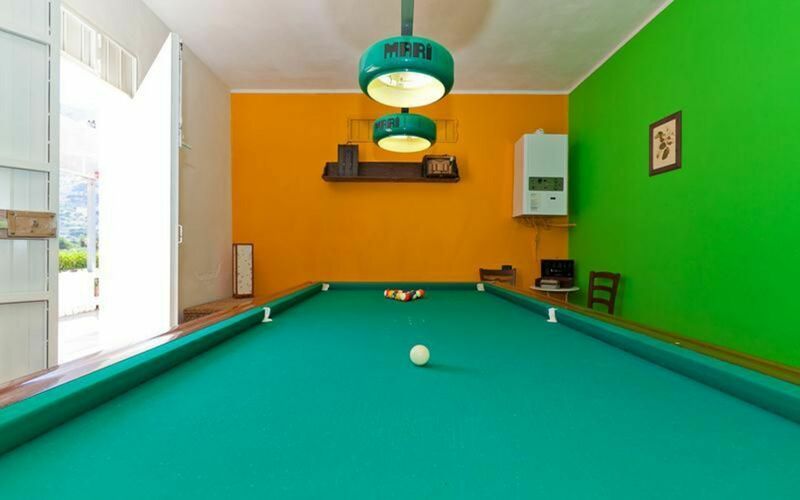 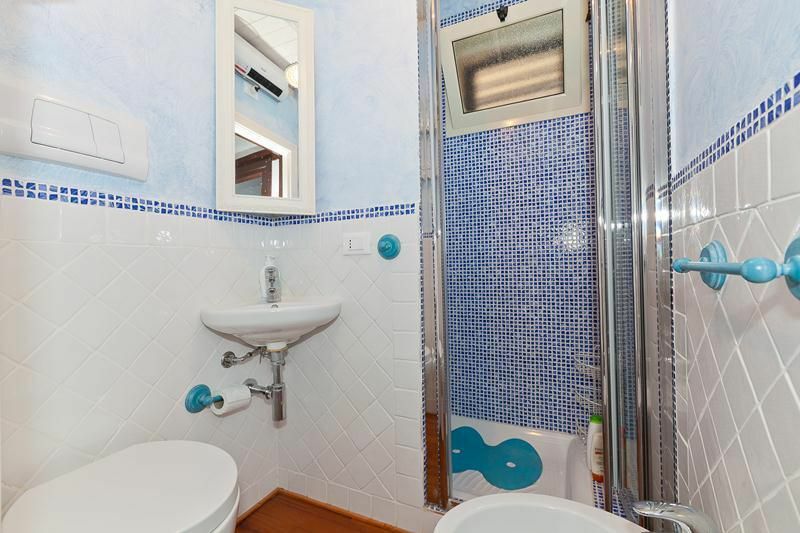 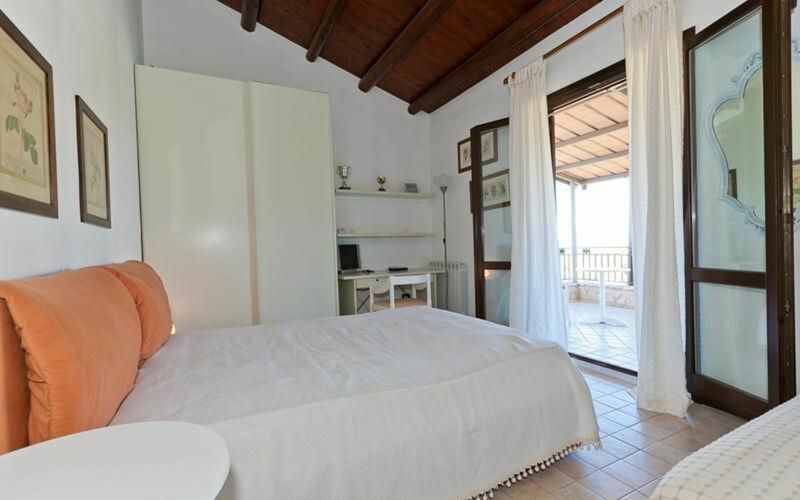 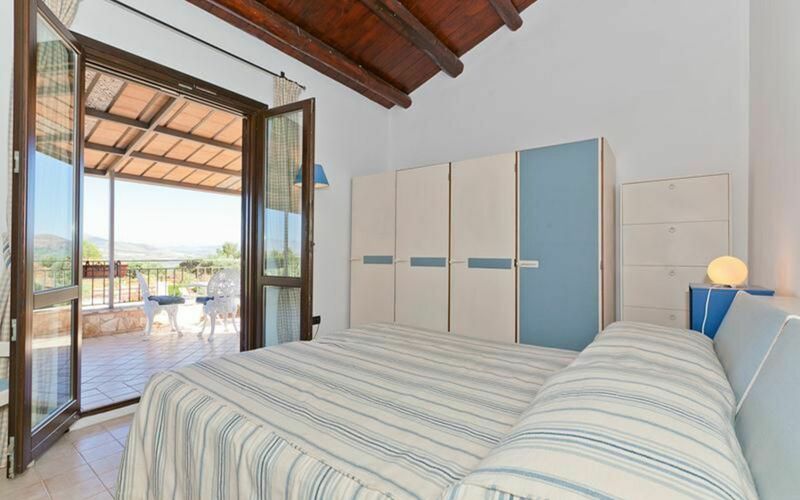 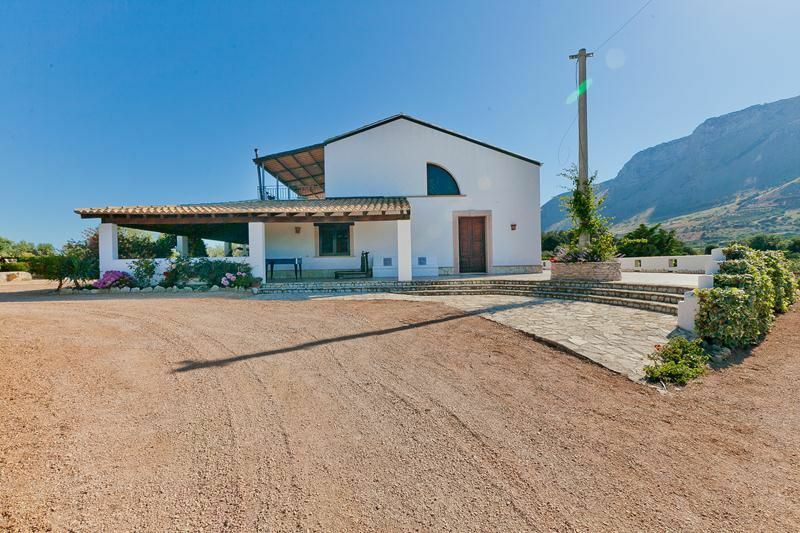 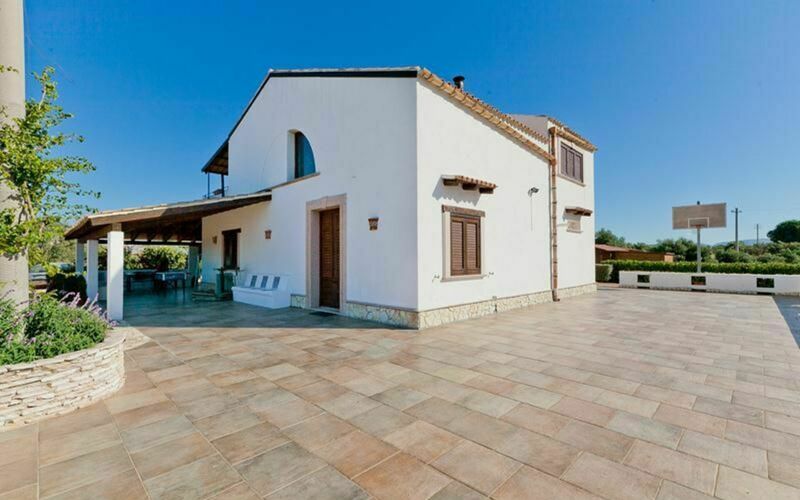 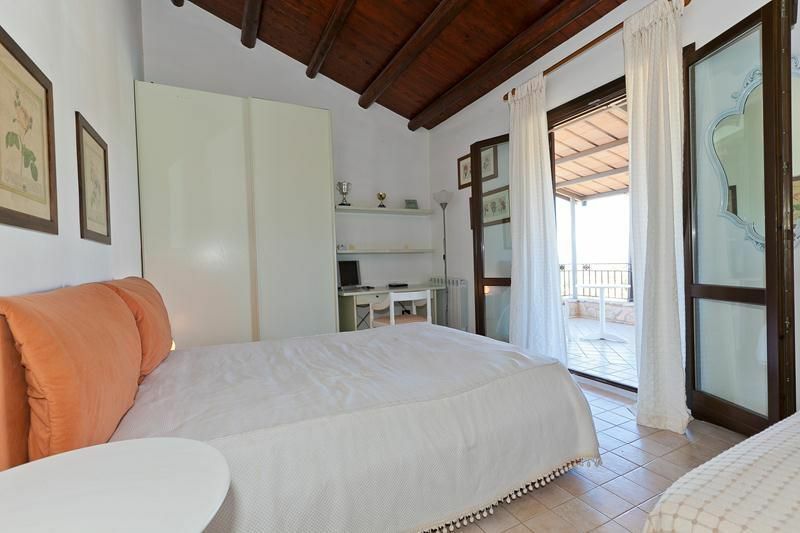 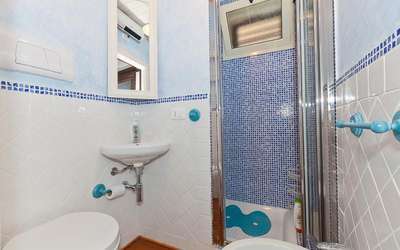 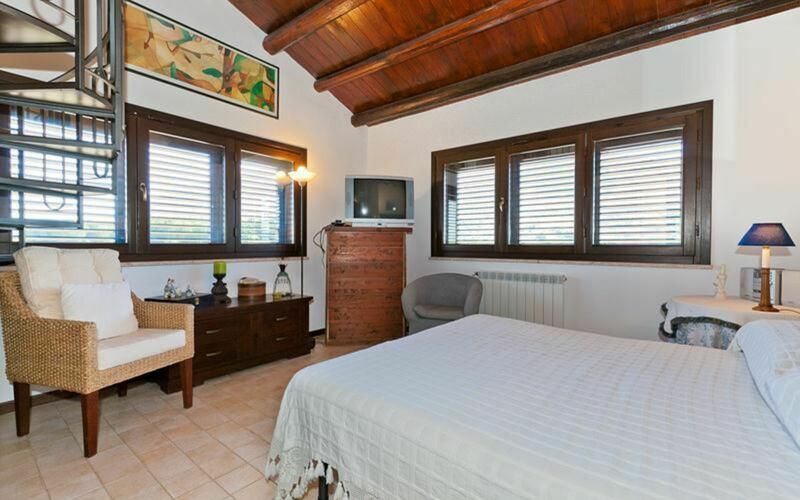 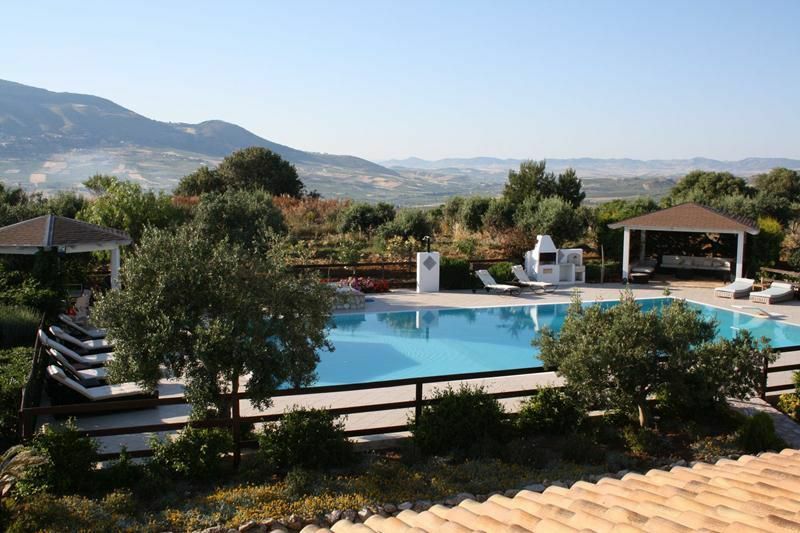 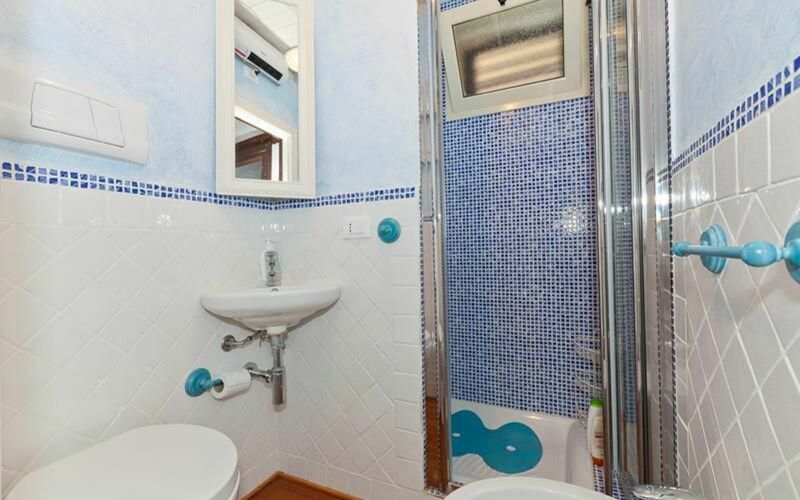 The holiday villa in Sicily is located 4 km from the center of Castellammare del Golfo, where you can find all kinds of services such as post office, bank, restaurants, supermarkets, etc .. 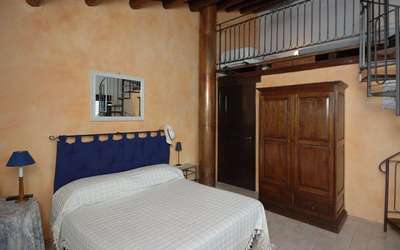 The beach in Castellammare is located 6.5 km. 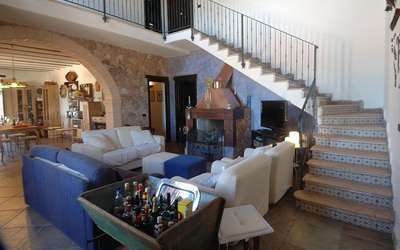 The villa was born as a family residence and is on two levels. 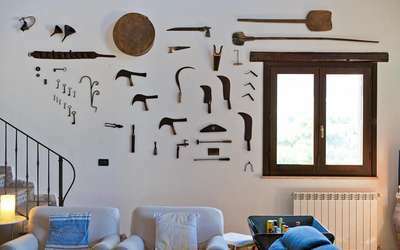 Made in respect of the territory and typical of rural culture, they used materials such as wood, terracotta and majolica. 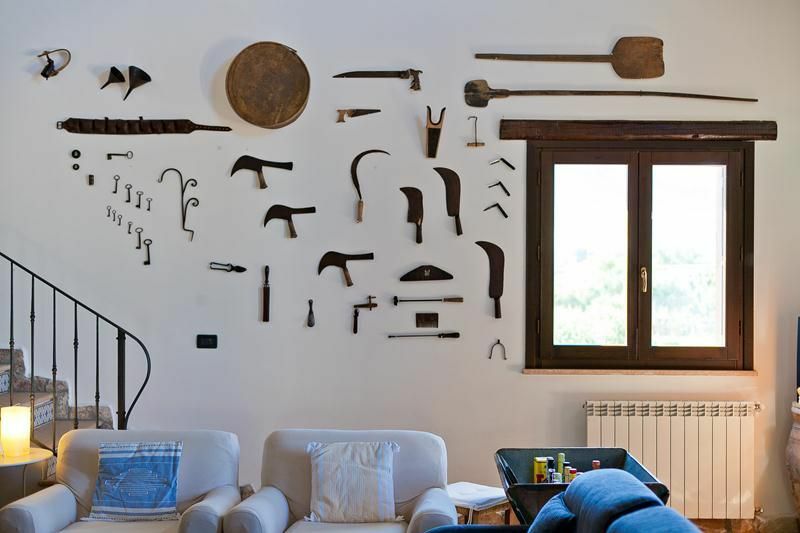 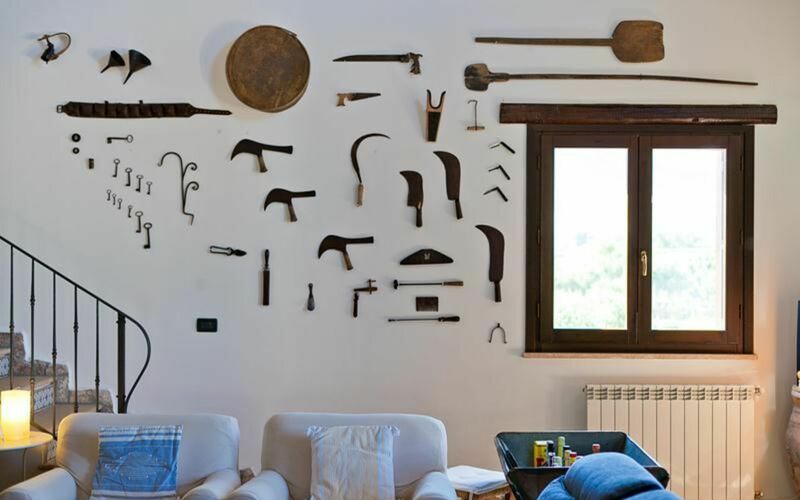 These materials make the rooms of the house warm, cozy and elegant. You enter the ground floor from the living room, characterized by a staircase leading to the first floor and the balcony protruding within the same environment. 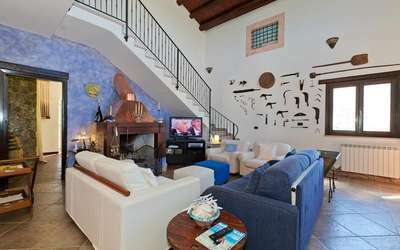 The living room is divided into dining area and sitting room, enriched by the fireplace that makes the environment harmonious and refined, as well as furnishings. 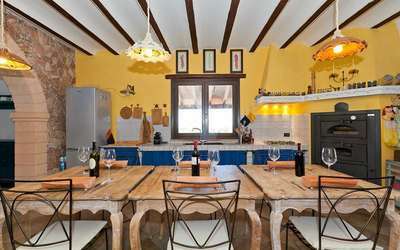 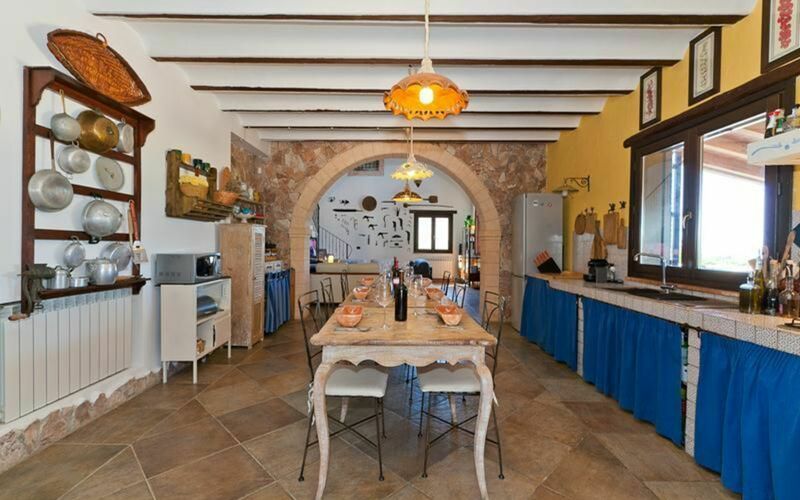 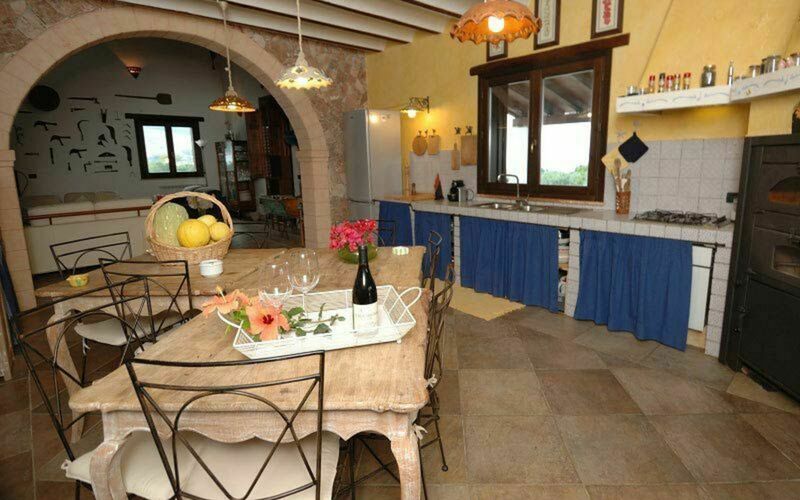 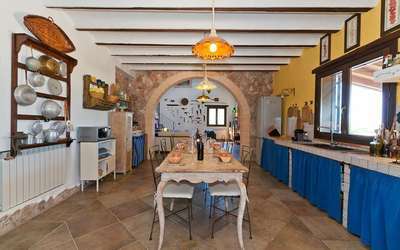 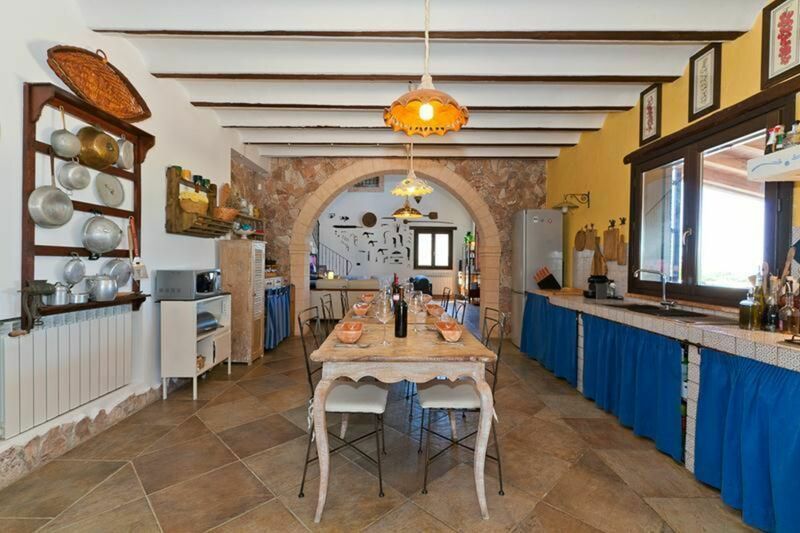 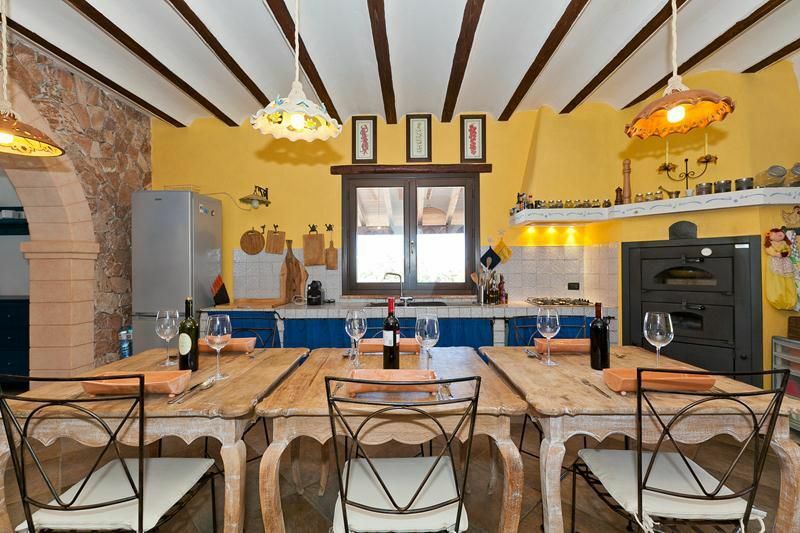 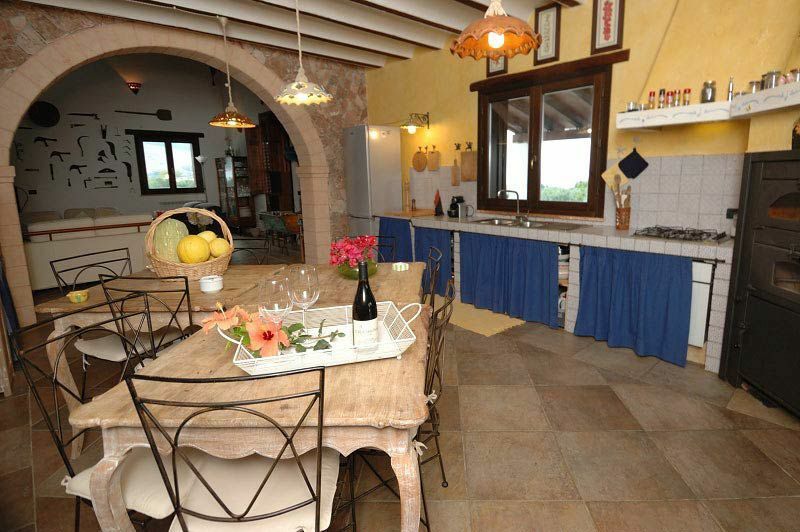 Comfortable kitchen, with typical Sicilian majolica, where there are various appliances, including wood oven, useful for the preparation of tasty Sicilian dishes. 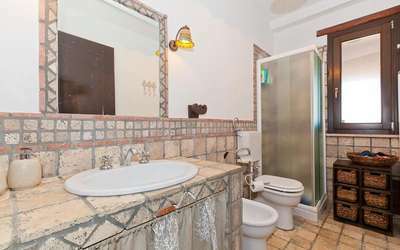 On the ground floor there is a double bedroom and a bathroom with shower. The sleeping area is arranged on the first floor and has three bedrooms. 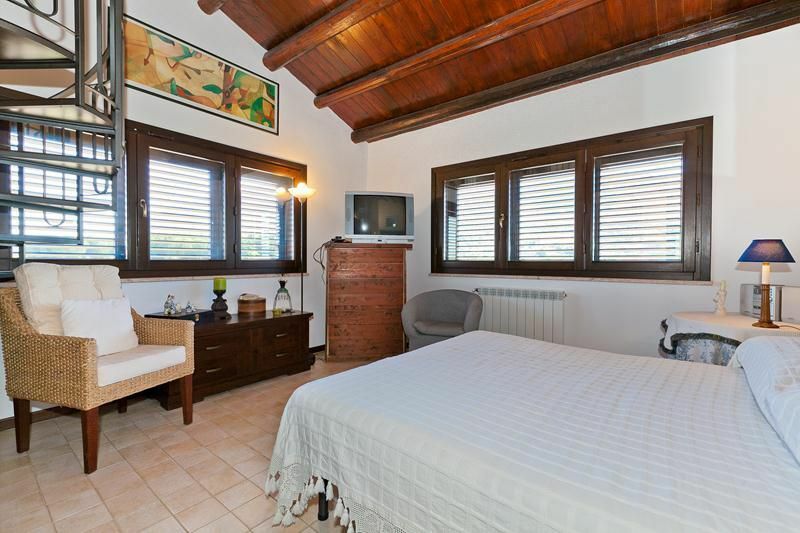 The master bedroom has a beautiful view of the countryside, a spiral staircase in this room leads to a wooden loft with an extra bed. The master bedroom has a bath with shower. 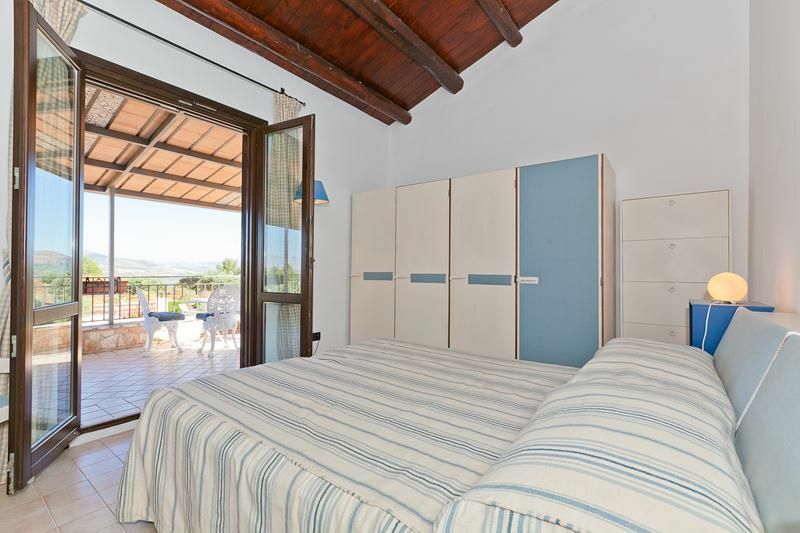 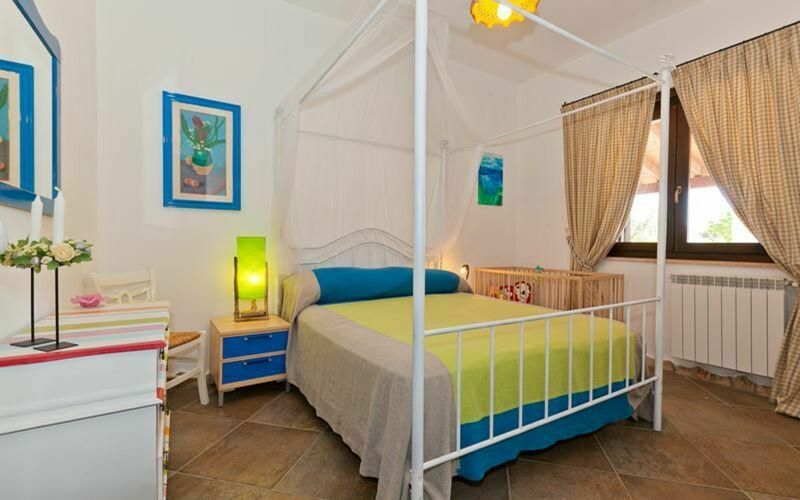 The other two bedrooms overlook a beautiful covered terrace, overlooking the pool and the lush green surroundings. 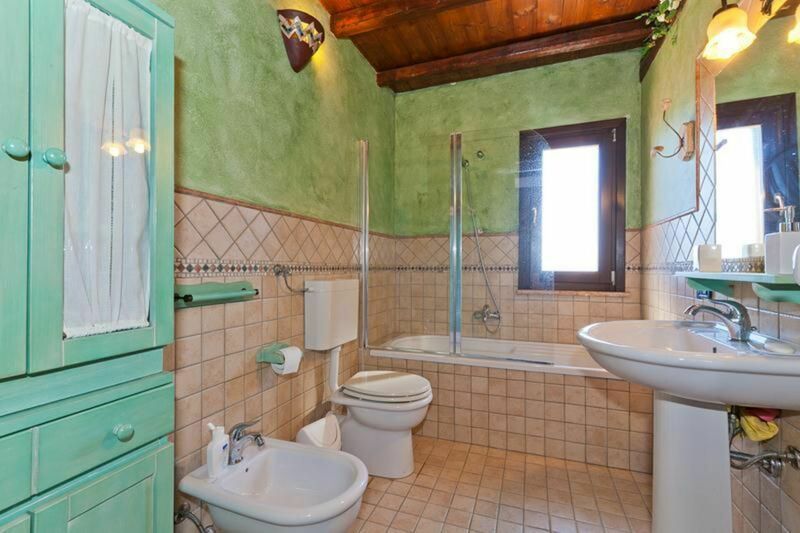 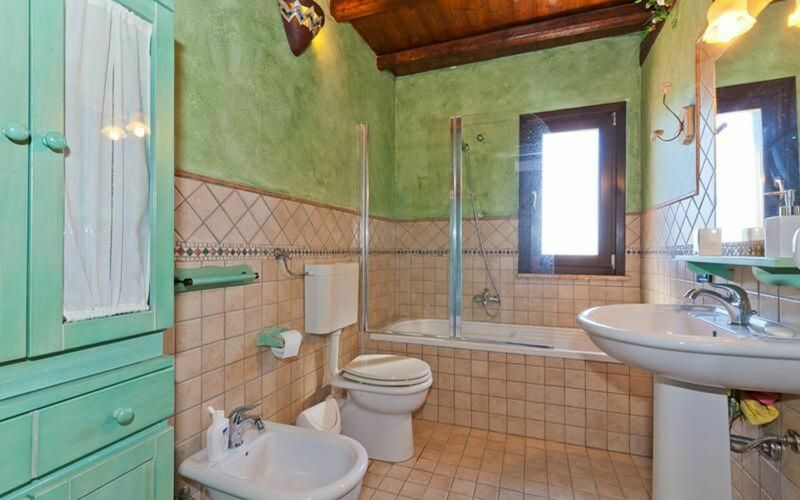 These two bedrooms are served by a bathroom with shower. The furnishings of the rooms, as well as for all environments, are simple and elegant and embellished with some antique furniture owned by the family. 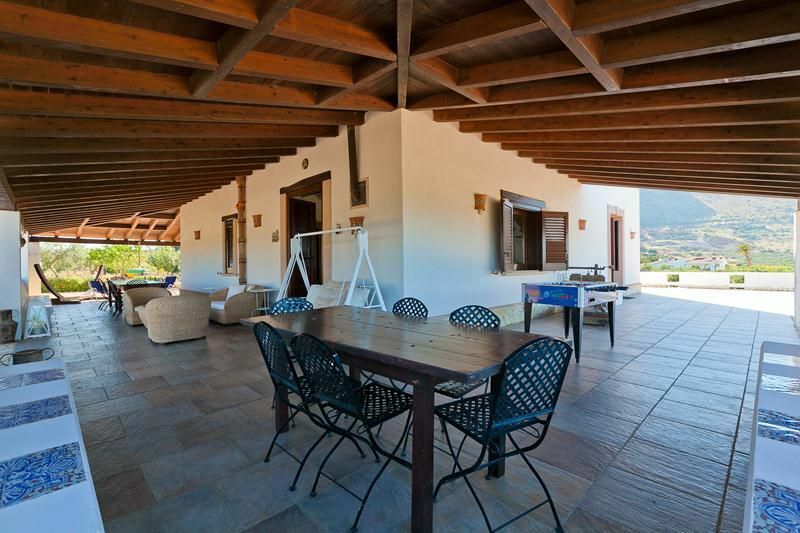 On the ground floor the villa is surrounded by wide verandas, where you can stay there relaxing.